Hey everyone! Today I’ll be writing about a store called fjoll. The owner, Jordan is super cool; he even bought something from my store. I owe him with this review. 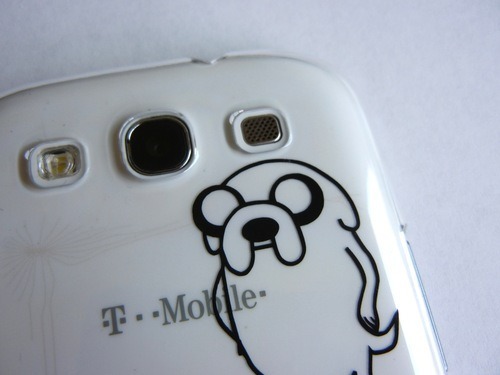 So he sent me two cases for my Samsung Galaxy S3, four decals, and two pairs of earrings! Everything except for the cases will be part of a giveaway, which everyone will be able to enter. 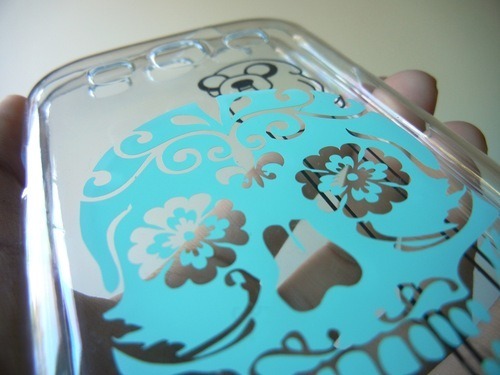 Fjoll has many different types of decals for many types of surfaces. 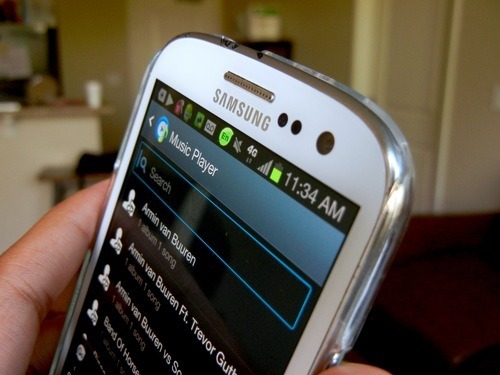 Laptops, car windows, phones, notebooks, basically you can make anything plain look amazing. Empty wall? They have life size ones. 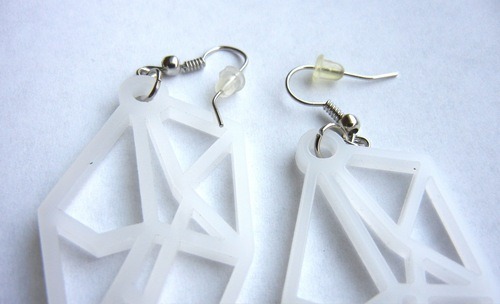 They even have gorgeous geometric cutout earrings! I was bummed out cause I have plugs, but Jordan sent me two pairs to giveaway. Even better, one of the pairs he gave me was worn by Naya Rivera on the cover of Latina! 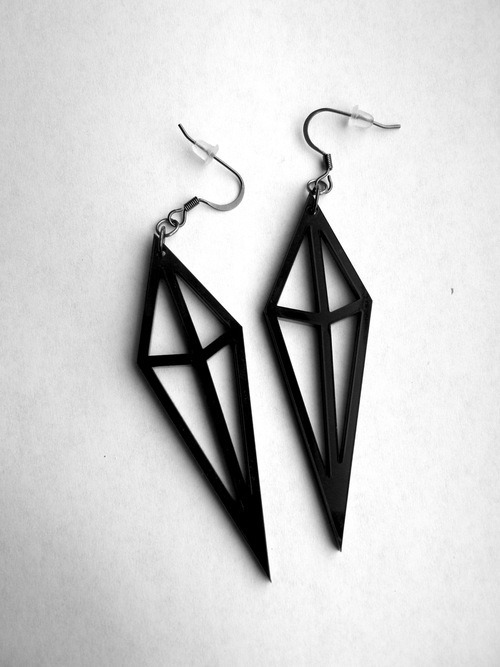 She wore the black geometric cutout ones, and their stunning in person and also on her. 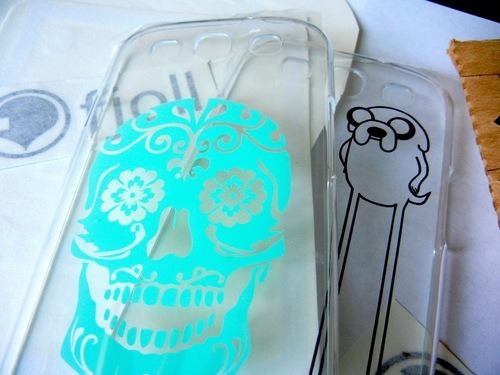 I’m in love with theses cases! 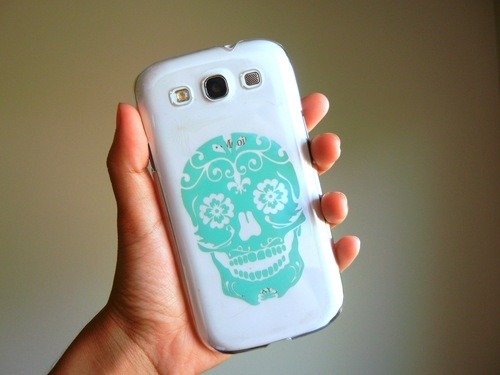 I got the Sugar Skull in turquoise and Jake the Dog cases for my Galaxy s3. 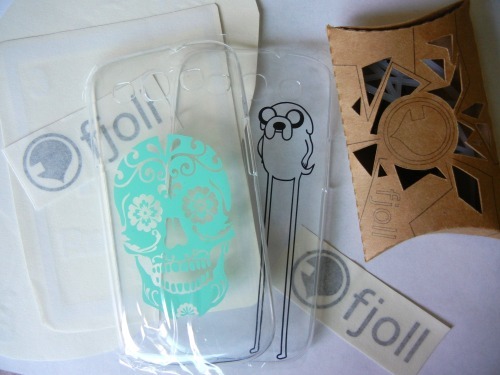 Oh don’t worry if you got a different phone, fjoll makes cases for Iphones and other Galaxy models. 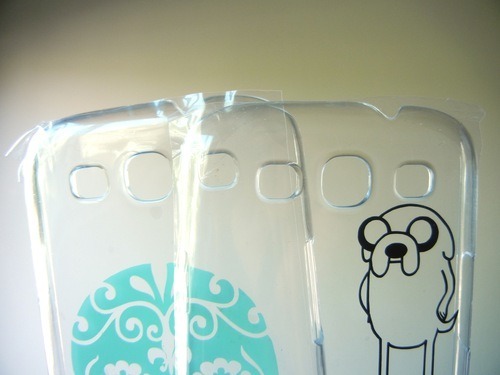 The cases are crystal clear so you can see your phone behind it and the decals are placed on the inside so you don’t rub it off when you handle your phone all the time. 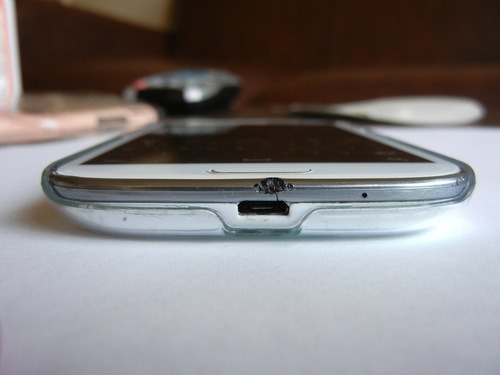 The lines are sharp and perfect, if you aren’t that close they look like they were printed on the case. Straight from the package they have protective films on them, just so they aren’t scratched during the shipping process. 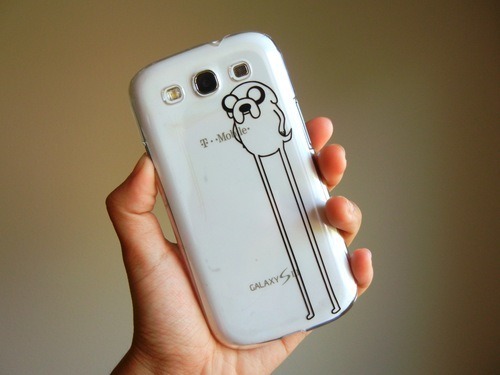 The cases snap perfectly to your phone. 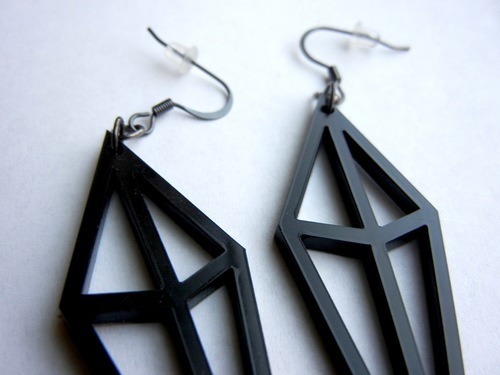 Here are the Black Diamond Spire and White Geometric earrings! They are handmade and designed by Jordan himself. 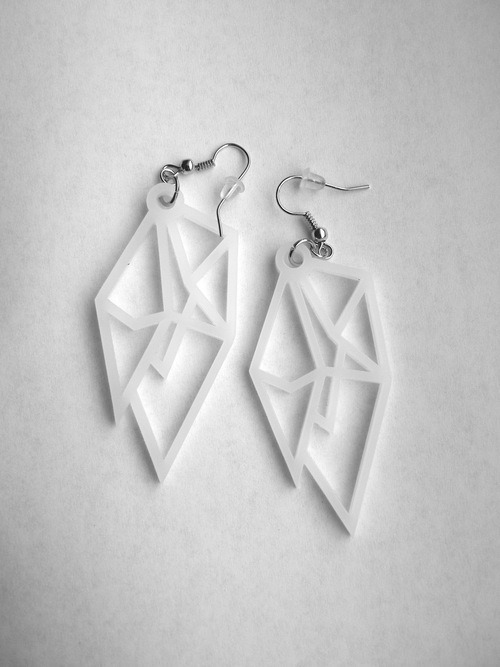 They are acrylic material and are laser cut. The box they come in is cut out too. These will be part of the giveaway! 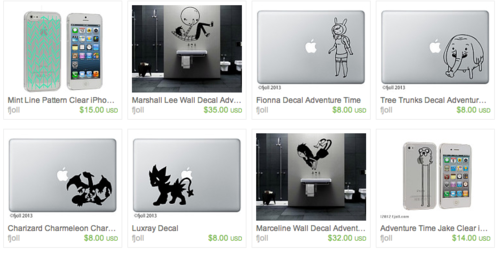 So if you like what you see and need to personalize anything you own, please go check fjoll out! They have amazing designs and they can do custom orders. I will post up the giveaway soon!